During my life as a graduate student, I had the pleasure and the privilege of being able to hike quite frequently. It helped that my thesis research involved hiking and trails in urban and rural environments; both landscapes that provide excellent backdrops for the movement of the body through time and space. When I’m hiking with a naturalist, my mind is also engaged in the identification of various species growing, moving, and existing around me. 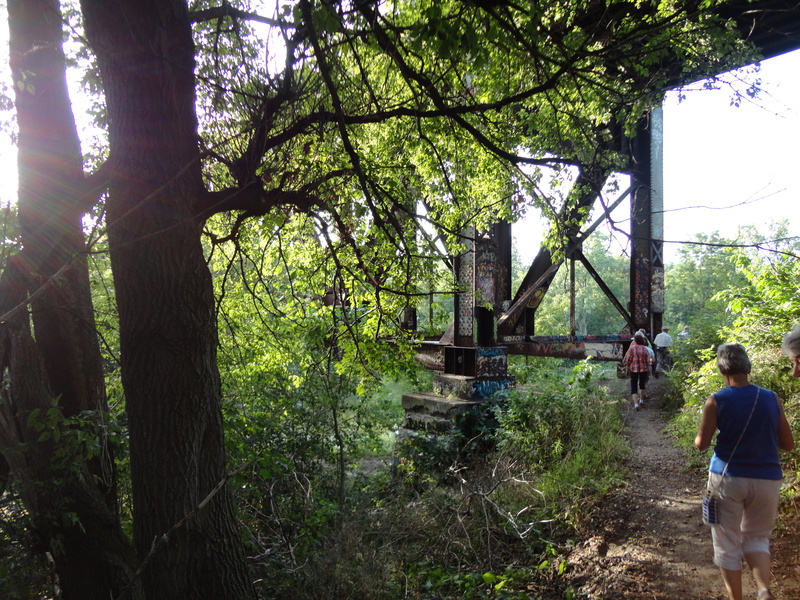 Greenway Park in London, Ontario, was one of these oft-recalled and fondly-cherished hikes. I was on a guided hike at the time with the Thames Valley Trail Association (TVTA), and I got to enjoy a variety of vistas (forest, bridges, waterways, historic architecture) while walking with this diverse and interesting crowd of people. The trail hiked was multi-use, so there were people riding bicycles, flying along on roller blades, and pushing strollers everywhere en route. The trail was, at heart, a joy to the senses. I have always appreciated that the TVTA schedules some of their group hikes for shorter, local, Saturday morning gatherings. This differs greatly from the grueling, two-day back-country treks that some people might imagine hiking to be all about. Consequently, more people from different walks of life attend these hikes and – frankly – enjoy them a heck of a lot. 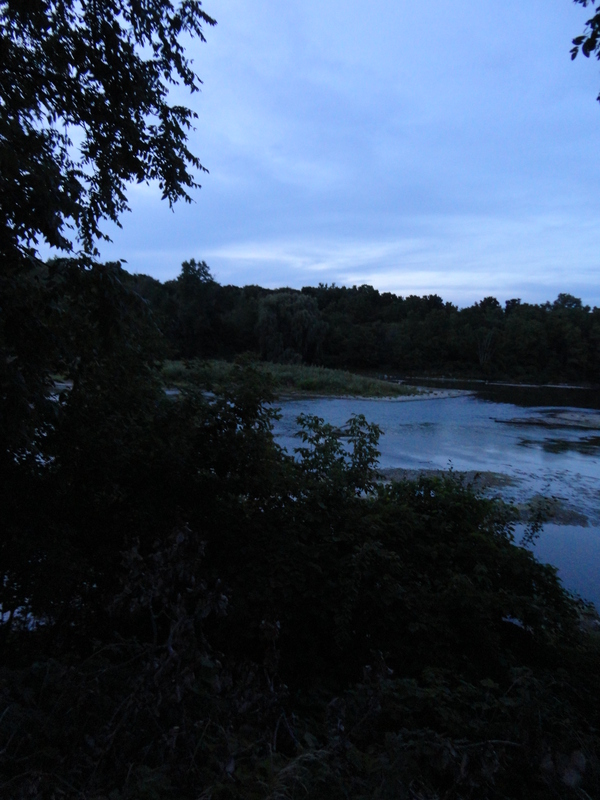 I include the map to Greenway Park, below, along with some of my photos. However, I would also encourage you to participate in the TVTA group hikes at some point, should you live in or around the London area. The sunlight shines down through the trees (and train tracks). 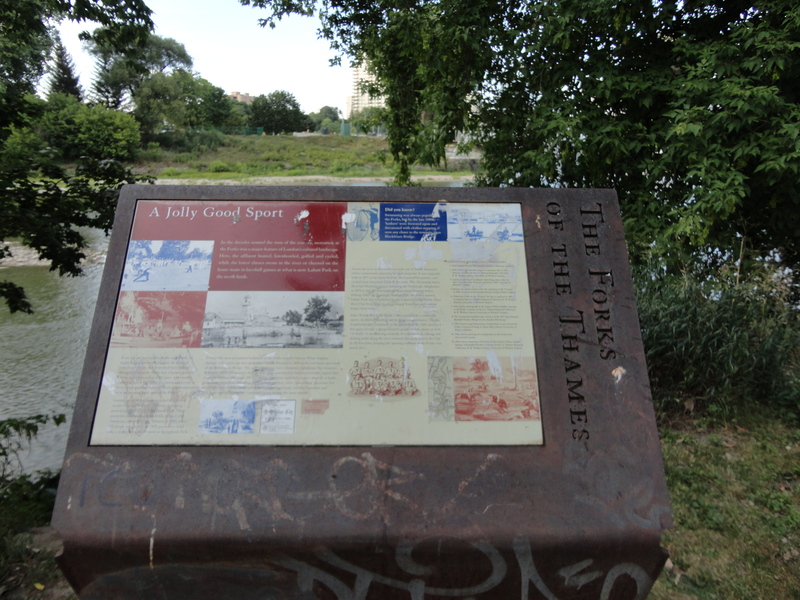 A plaque detailing the Forks of the Thames. 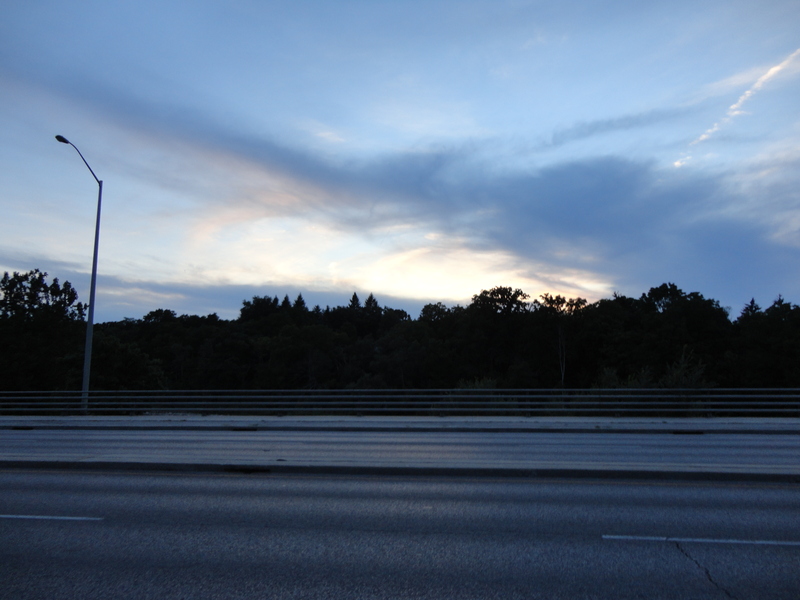 Even urban settings can be lovely on a humid summer evening.